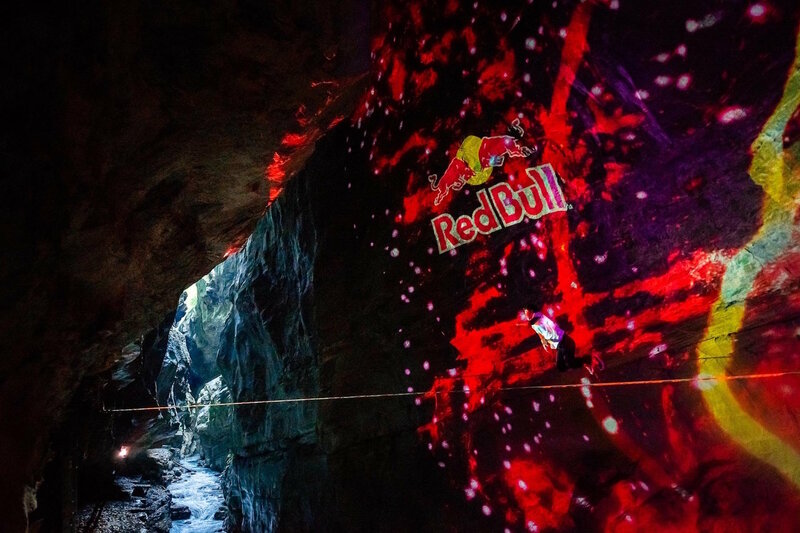 A few days before the premiere of this year’s second edition of Light Ragaz, the famous Tamina gorge already opened its doors for us. 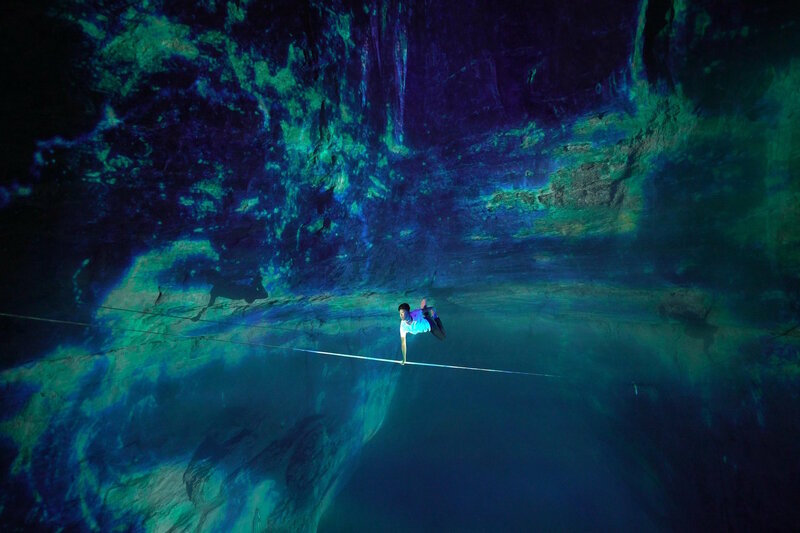 Together with Red Bull we set up a slackline high above the river and brought in their world class athlete Haruki Kinoshita (JAP) to show off his great variety and quality of tricks in this fascinating and unique spot. 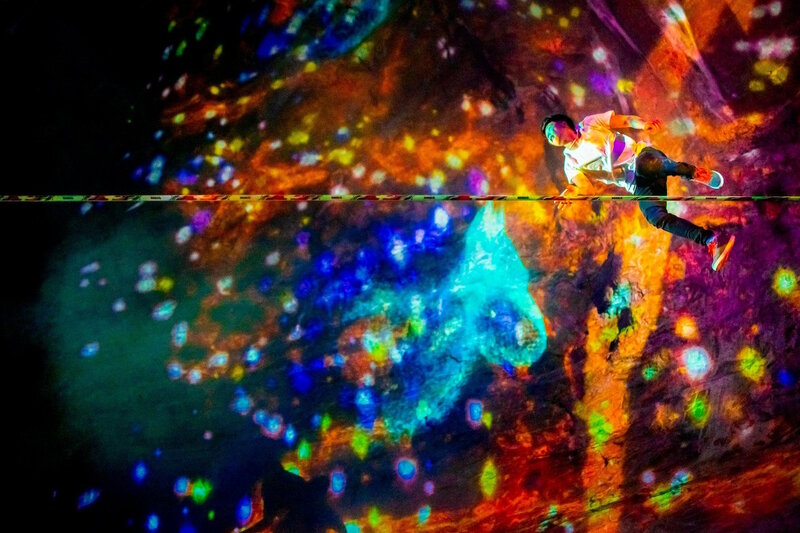 We developed various visuals that we could project onto the impressive up to 80 meters high rocks that were used as natural screens surrounding the slackline and animated the projections live to the specific rhythm of the athlete’s performance. 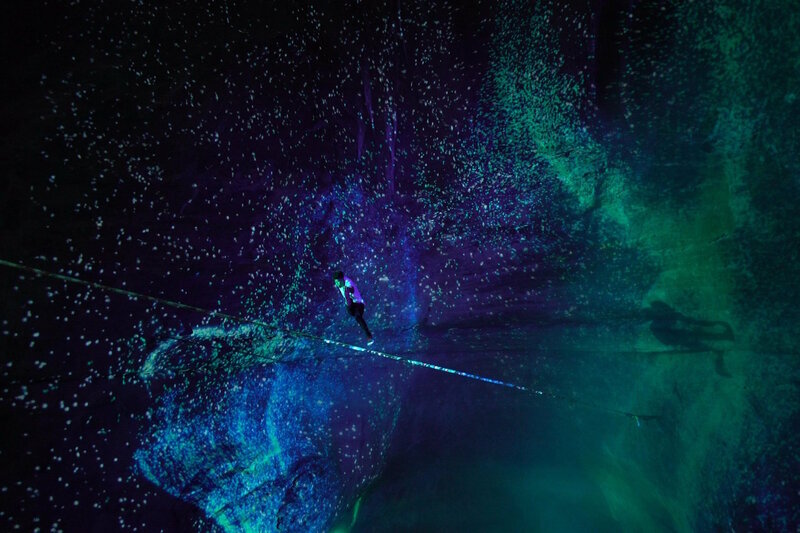 This first of its kind combination of sport, art and brute nature led to breathtaking images and transformed the stunning gorge into a dazzling and mystical location! 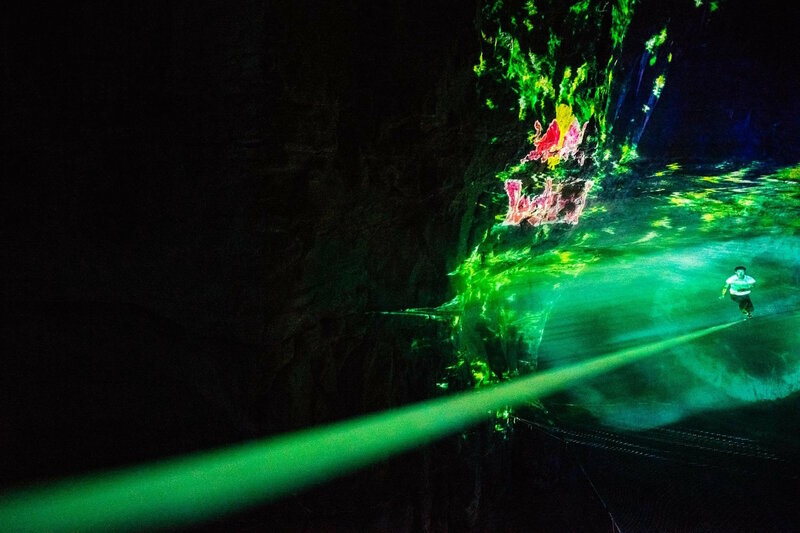 More information & tickets for Light Ragaz 2018 on www.lightragaz.com.